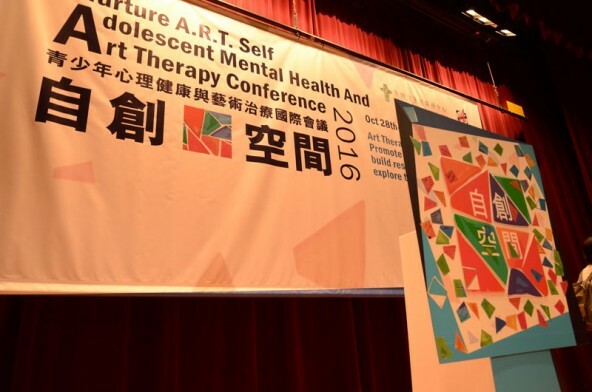 Organized by the Christian Family Service Centre (CFSC) and Hong Kong Association of Art Therapists (HKAAT), the Conference (28-29 October 2016) aims to exchange knowledge with helping professionals the remarkable trend of art therapy in adolescent mental health. Venue: CFSC's Headquarter Building, Hall (1/F) & Rm201, 204-205 (2/F), 3 Tsui Ping Road, Kwun Tong, Kowloon. Program: keynotes, workshop, oral presentation and exhibition of arts product. "Art Therapy in a Changing World: New Developments in Research and Practice"
"Creative, Playful and Art Therapy for Adolescent Mental Health and Well-Being"